Hi Prachi! Thanks for your comment! My suggestion would be to practice with friends, do mock speaking exercises. Hi sir 19 may 2016 my ielts general training my exam centre for mumbai.sir I am help my total study Gujarati medieam. I no idea ielts exam and book material. Or if you want, sign up to the email list and I can send you some tips. Please help me with regard to this matter. 1.Some people say that competition is good for children’s development while others believe it is bad. Discuss both views and give your opinion. 3.Nowadays traffic jams are becoming a big problem in most cities and bigger towns. Some people suggest that widening of roads is a solution to this problem. Do you agree or disagree? Give your opinion and suggest a solution to this problem. 4.Some people say that dangerous sports should be banned. Do you agree or disagree? Give your own opinion. 5.Some people believe that children should have formal training at school to become good parents. Do you agree or disagree? Give you own opinion. 6.For some people high salary is an important criterion when choosing a new job. Others are satisfied if the job contributes to the society. Discuss both views and give your opinion. 7.Children today are too dependent on computers and electronic entertainment. It would be better to encourage them to spend more time outside playing sports and games. Do you agree or disagree with this statement? Give your opinion. 8.Some say that young and energetic employees are the most valuable for the company, others argue that older employees have more experience and knowledge. To what extent do you agree or disagree? Give your opinion and examples, based on you own experience. 9.Nowadays people are getting married and having children in their thirties. Does it have a positive or a negative impact on the society? Give your opinion and examples. 10.Some people think that students who finished high school need to have a year of break or a holiday before continuing their study in a university. Do you agree or disagree? 11.Some people think that giving their children a certain amount of money every week will help them have fewer financial problems in the future. Do you agree or disagree? 12.Nowadays young people deliberately damage public places. Why is it happening? What could be a solution for it? 13.Some people believe that media (such as newspapers) should be allowed to publish information about the private life of people. Others say that people have a right to privacy and the issue must be controlled or even stopped. Discuss both views. 14.Some people believe that subjects such as Music, Arts, Drama and Creative Writing will contribute a great deal to children’s development; therefore they should take a large part of the school timetable. To what extent do you agree or disagree? 15.Some people think young people are more influenced by their friends than their parents or teachers. Do you agree or disagree? Give your opinion. 16.Some people think that mothers should spend most of their time raising family, and therefore the government should support them financially. Do you agree or disagree? Give your opinion and examples based on your own experience. 17.Some people think that students at school need to learn practical skills such as repairing a car or maintaining a bank account, in addition to traditional academic subjects. To what extent do you agree or disagree? Give your opinion and support it with examples. 18.Some people think that modern technology has more negative effects on our lives than positive ones. Do you agree or disagree? Give your opinion. Sree!!! That’s an incredible amount of work you have just asked from me! 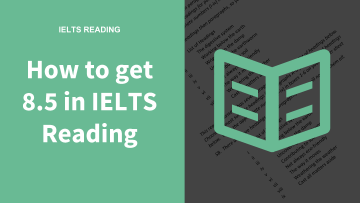 If you want some more sample IELTS essays, I would sign up and you can get the free ebook which is full of sample essays. I want to improve my reading and listening in general training. My aim is to get 7 in reading and listening ..
i take the exam last june but i did not get the result i want.please help me with regards to this matter..i want to improve my reading ,and speaking to 7 or 8.
thanks for the lovely website. I Always see the positive results on me. Good techniques with good results. thanks for the lovely website.It helps me a lot and i always see the positive results on my part when i started reading the techniques. More power on your websites.